Is pizza healthy for you? Surprisingly, yes. We’re not saying you can lose 50 pounds on a pizza diet, but there are certainly worse foods you can eat—and definitely worse tasting foods, too. The sad truth about pizza is that it’s often lumped in with unhealthy fast foods like hamburgers and fries, which leads most people to think it should be avoided at best and consumed in moderation at worst. But the reality is that pizza, especially a deep-dish pizza that’s loaded with vegetables and other healthy toppings, is actually a highly nutritious meal for people with all sorts of food preferences and dietary restrictions. You can even get gluten-free pizza in San Jose if you are gluten sensitive. 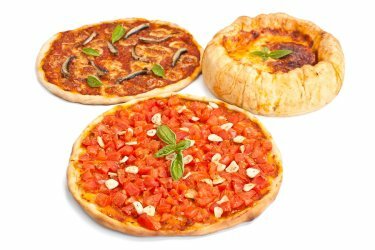 Whether you need to convince yourself or someone in your life that pizza would be a great option for dinner tonight, these surprising health benefits of pizza will help. A good sauce is at the heart of any good deep-dish pizza, and the main ingredient in pizza sauce is tomatoes. These sweet and delicious red delights are chocked full of antioxidants that promote good health. The pizza baking process, particularly the slower bake of a Chicago-style pizza, brings out even more of the antioxidants found in the tomatoes. You can get most of your major food groups covered in a single slice of pizza. In fact, if you concede the point that tomatoes are technically fruits, then all of the major food groups are present and accounted for in a deep-dish pizza. You can’t say that about most other meals, certainly not very many that you can eat with your hand. Perhaps most surprising thing about pizza are the studies linking pizza consumption with a reduced risk of cancer. Three studies by the Institutio di Ricerche Farmacologiche in Milan conducted between 2001 and 2004 found that eating pizza at least once a week may prevent or help reduce the risk of developing certain types of cancer , including mouth and colon cancer. Don’t you feel good about your decision to order pizza online now?